While awaiting the midterm elections, students on campus are taking the lead in creating a political conversation. On the night of Thursday, Nov. 1, the Iota Alpha chapter of Alpha Phi Alpha Fraternity, Inc., Mason Votes and Student Government came together to host a public forum debate between representatives from the George Mason Democrats (GMU Dems) and George Mason College Republicans. 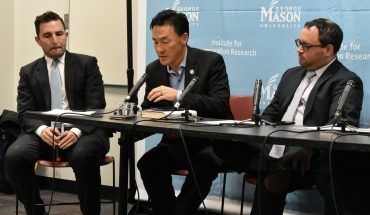 The nearly two-hour debate provided students with an opportunity to discuss critical issues that included immigration, healthcare and gun violence. The Johnson Center (JC) atrium was packed with an engaged audience eager to hear what their fellow students had to say. Jordan April, a sophomore government and international politics major, was one of the audience members. One of April’s biggest takeaways from the debate is continued voter education. Along with being informed, voter activism is something junior economics major Mahnoor Zafar deeply believes in. “Please go to the polls,” she said. Knowing who candidates are and what they stand for beyond party affiliation is a driving force for their votes. Leah Hoffman, a freshman government and international politics major who served on the panel for the College Republicans, is voting strongly toward integrity. 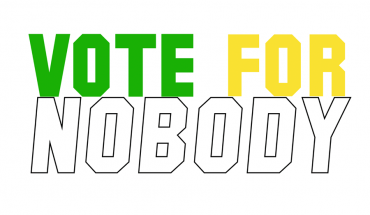 One of Hoffman’s counterparts during the debate, Erica Kelly, a freshman government and international politics major and member of GMU Dems, recalled a threatening situation her classmate experienced earlier that day and connected it to the political issues that matter most to her. On Thursday, Kelly said a government course in Innovation Hall was interrupted by a seemingly aggressive individual who was shouting and yelling in the classroom. Kelly heard that the first thing that came to everyone’s minds was that there was going to be a shooting. “The fact that [a shooting] is the first thing which comes to students’ minds when they hear somebody yelling in the classroom, and that they are so scared they can’t remain in that education space (sic) is a reason why I’m going out to the polls,” Kelly said. Aside from the issue of gun-related threats and violence, Kelly added that her father, who has numerous pre-existing conditions, is one of her top concerns in this midterm election. “While he currently works for the state, it’s very common for people who work in the state to [get] pushed out as they get older … If we lose state health insurance, Obamacare [the Affordable Care Act] will be our only option,” Kelly said. 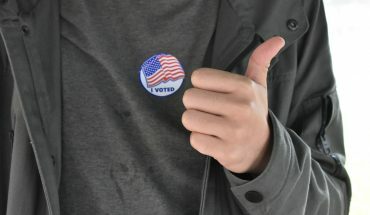 Events like First of All We Vote offer students a safe opportunity for public discourse on political issues, which can significantly impact voter turnout this election season.